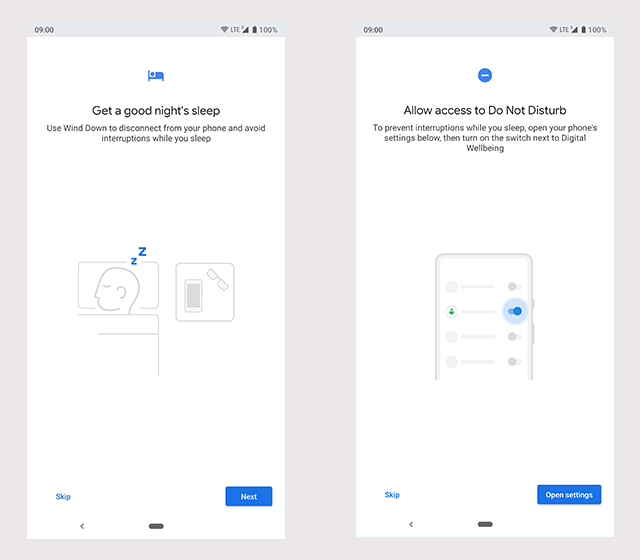 So Android 9 Pie is official, and one of the biggest changes is the release of the user-facing Digital Wellbeing features. Yes, it’s still in Beta and you may or may not get to use it immediately depending on how quickly Google’s servers add you to the program. But if you want to sign up for Digital Wellbeing, you need Android 9 Pie and a Google Pixel smartphone. Digital Wellbeing is a concept that Google spoke about at length at this year’s I/O. In fact, it was a former Google engineer Tristan Harris who began the ‘Time Well Spent’ movement, so the company should be quite aware of murmurs of digital addiction and social media dependency. Digital Wellbeing is the umbrella project within Android which tackles these issues. To do this, Google is using a three-pronged approach with Dashboard, Wind Down mode and Do Not Disturb settings. With Android 9 Pie and the Digital Wellbeing beta we can already start using these features, though Google has a big fat beta tag on the entire experience so do expect some bugs and jank. Once you are accepted into the Digital Wellbeing program, it installs from the Play Store like any other app, but goes straight to the Settings instead of the app drawer. You will find a dedicated Digital Wellbeing category among the usual bunch. 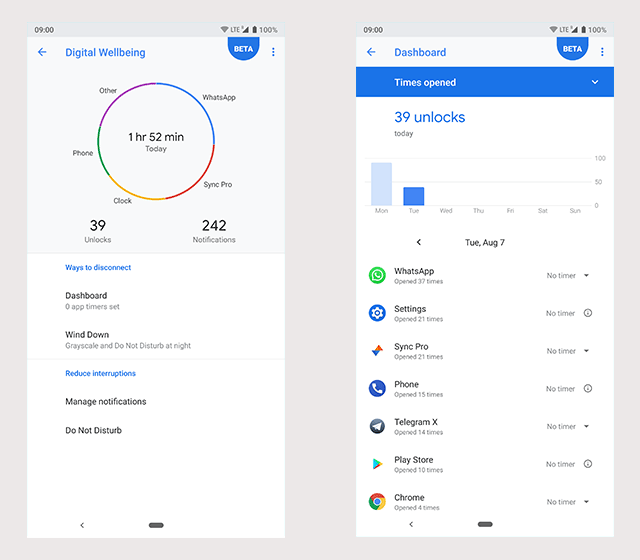 Digital Wellbeing’s main screen is an overview of the time spent on your phone, including the number of unlocks and notifications. 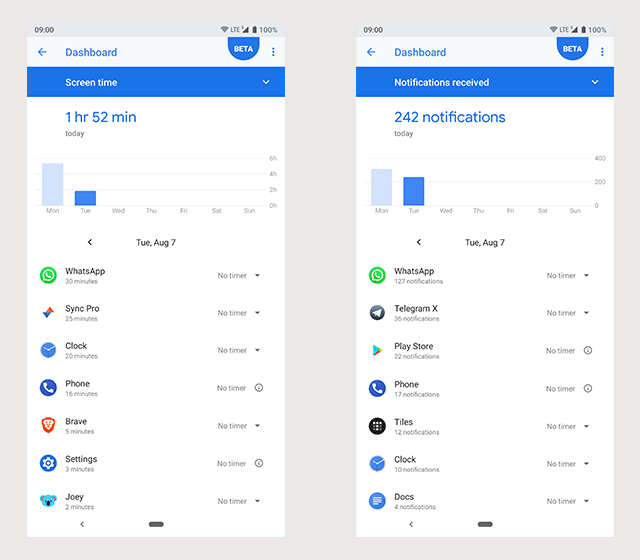 You can tap on the Dashboard section to dive deeper into your app habits, and set screen timers per app, with handy preset timers and an option for a custom timer, which oddly goes all the way up to 23 hours 55 minutes per day. That kind of leeway seems weird, but not many users are likely to scroll all the way down to find and use this unusual setting. You will also see more detailed info about app notifications and phone unlocks in the Dashboard. 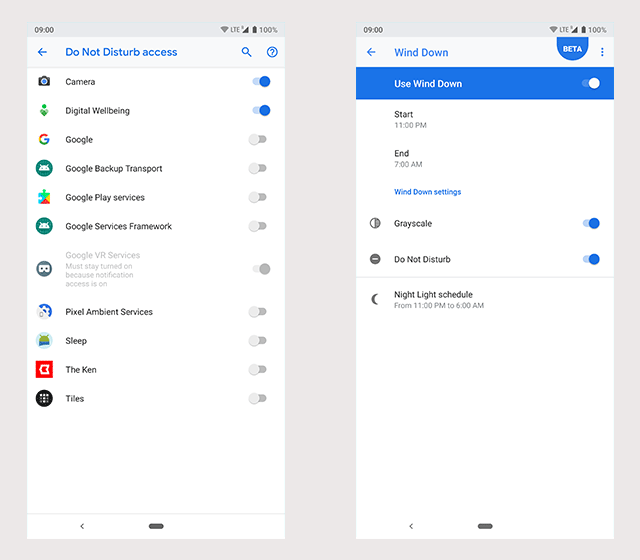 The next part of Digital Wellbeing is Wind Down mode, which is basically a visual trick that Google hopes will help your eyes and brain settle down into a more relaxed state and better prepared for sleep. In Wind Down mode, which has a clear on and off toggle, you can get Android to put the screen into grayscale color space, and turn on Do Not Disturb with the settings you have chosen. You can also choose to go with either of the options if you don’t want both grayscale and DND. Finally, you can fine-tune the app notifications and do not disturb settings from within the Digital Wellbeing section. This lets you turn on and off notifications from those apps that have sent you the most notifications recently. And that’s about it for Digital Wellbeing at the moment and we are sure many of these sections will be spruced up while the feature is in beta as is the Google way. 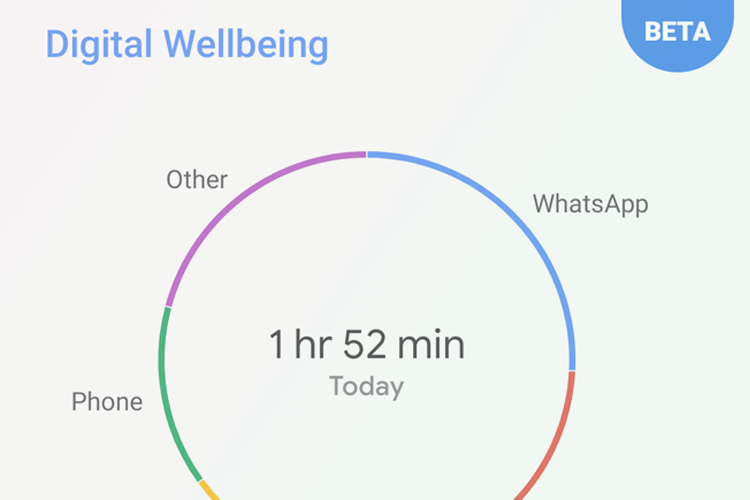 In its final avatar, Wellbeing might look very different, but Google has delivered the basic features that look promising to me. I’d installed the Android 9 Pie update overnight, but hadn’t got the Digital Wellbeing entry till this morning. I installed it almost immediately and the app could already show me some entries from the days and weeks past, which could be a bug. But I was quite shocked to discover that I had already unlocked my phone 16 times in just about 10 minutes. Yes, that morning flurry of messages, emails and overnight updates does mean you are staring at your phone far too often in the morning. By 11:30 am, I had already used my phone for 2 hours. Admittedly, it is my birthday and this is not a typical day as far as phone usage, but I can’t imagine most days are very different. Digital Wellbeing is a much needed tool, something Apple is embracing in iOS, while Facebook and Instagram have native features to track usage. Just like a weighing scale or a look in the mirror or a steep staircase can remind you to get fitter, Digital Wellbeing can show you the right indicators to perhaps cut your app session time and turn it into time well spent.